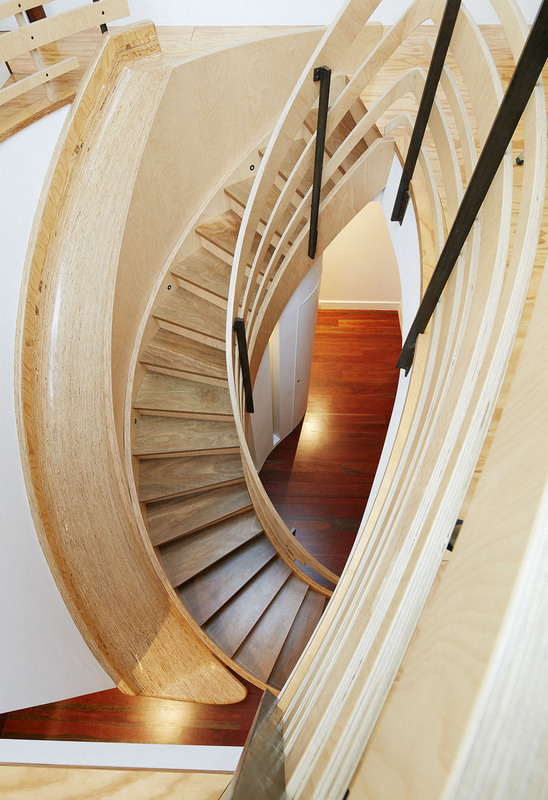 An innovative use of timber products has brought about the realisation of a client's dream to have a central slide in his house. 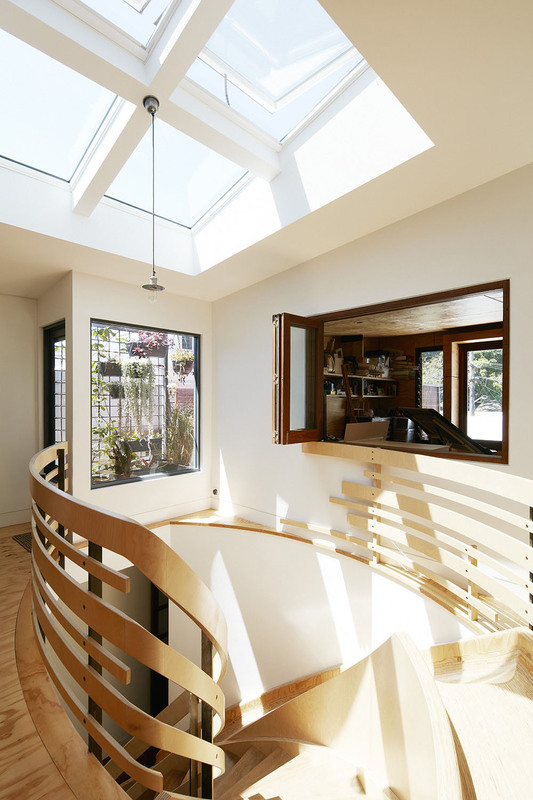 The element has become the pivot point of all activity and a hub of the home. 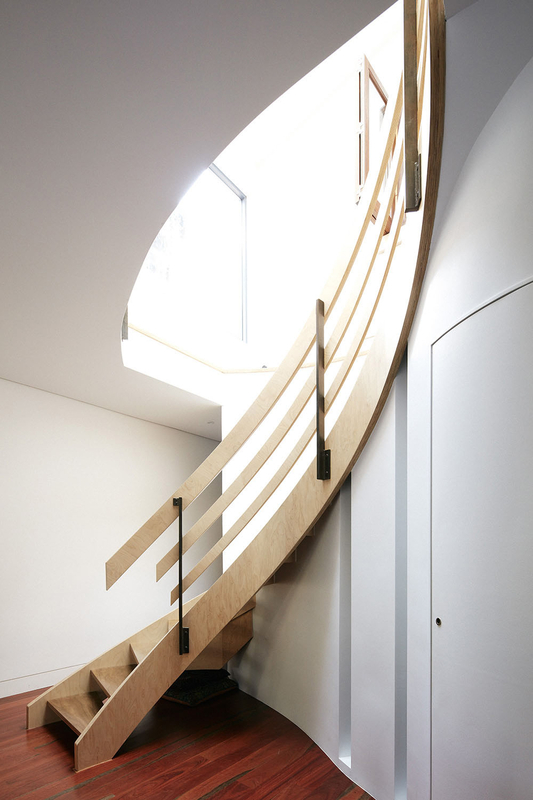 The timber slide was designed in a collaborative process with both client architect and furniture designer. The resultant object was brought about by close collaboration with a maker skilled in the ideas of boat building. This collaboration allowed the structure to be curved in both directions. This was acheived by using narrow strips of plywood that were then smoothed and finished with a hardwearing polish finish. 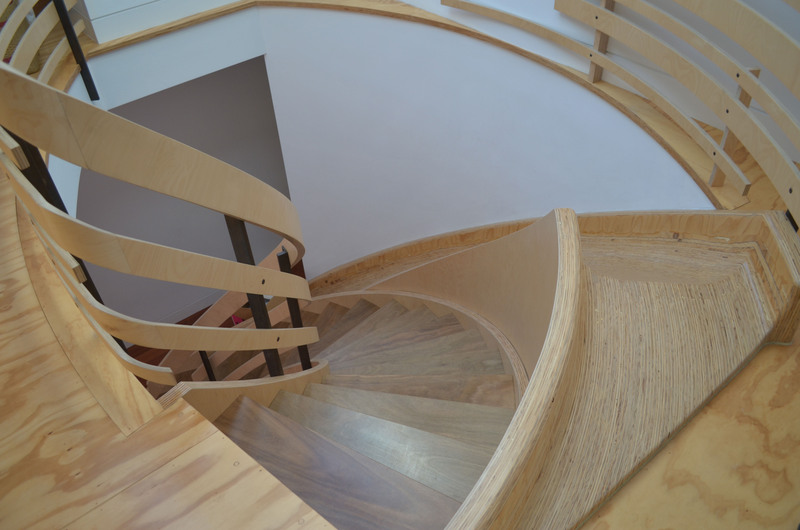 Even though a number of timber products were used in the process, the resultant element has an elegancy, with each material highlighted for its particular function and use. 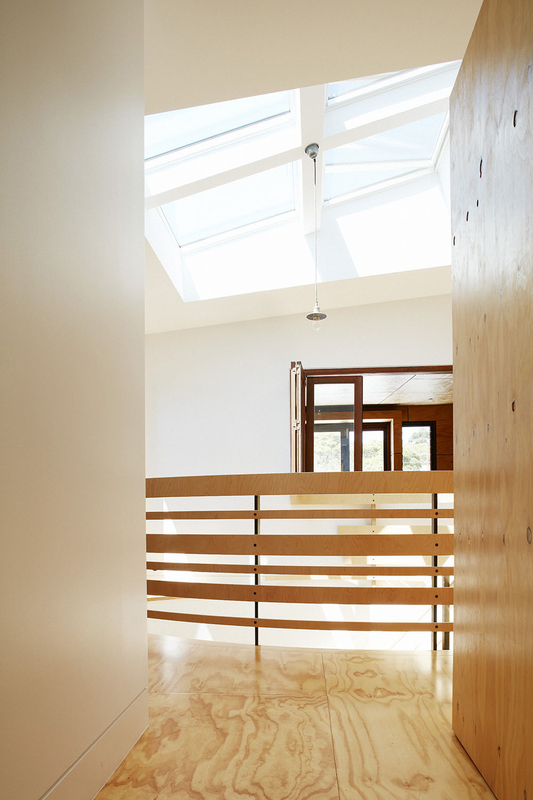 The object, located in the centre of the house, has become a sculptural element bathed in light. The slide element was built from laminated plywood. The wood was curved and glued in laminations and then routed out to form the slide on the endgrain. The side stringers are laminated curved birch plywood. 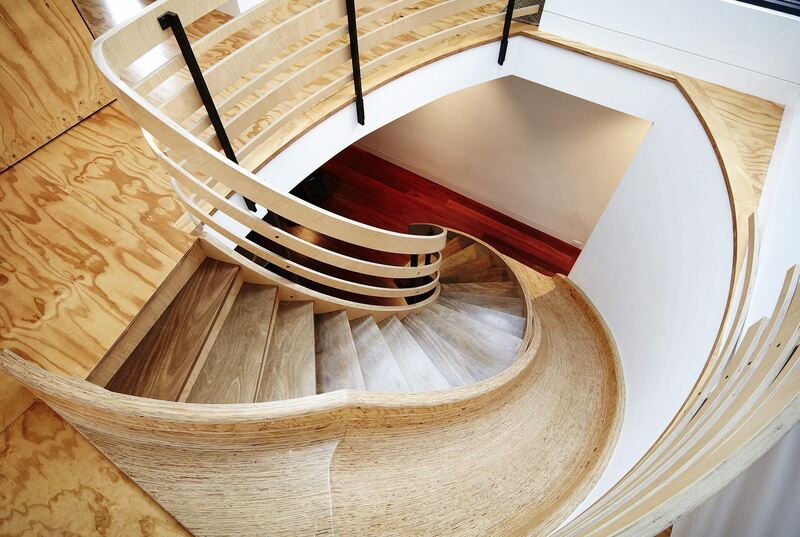 The timber treads are made from spotted gum plywood from Big River, finished in Bona Traffic Naturale Satin. In the fast changing inner city suburb of Brunswick East, this Victorian cottage named ‘Ethel’ demonstrates that she can change with the times whilst retaining her personality, warmth and charm.